This solar newsletter was originally published on July 20, 2018. In June, Consumers Energy proposed its new Integrated Resource Plan (IRP) in case U-20165. This IRP is the first by a Michigan utility that follows the new rules initiated by the 2016 energy legislation and developed by the Michigan Public Service Commission with stakeholder input in 2017. In the IRP, Consumers proposes to phase coal plants out of service and invest in renewable energy and energy efficiency. Patti Poppe, CEO of Consumers Energy, stated that the utility expects solar costs to decline by 35% by 2040, justifying Consumers’ notable shift toward solar in coming years. In fact, Consumers’ IRP outlines a dramatic increase in solar energy owned or under contract by the utility, increasing from 11 MW today to 6 GW by 2040. Although these changes will significantly increase renewable energy generation in Michigan, it is unclear what the proposals by Consumers Energy will mean for utility-scale solar developers. Particularly important for the solar industry moving forward will be Consumers’ proposed shift away from using PURPA contracts to procure large scale solar generation. Consumers instead proposes to use a competitive bid process to procure renewable generation and proposes a Financial Compensation Mechanism to compensate the utility for power purchase agreements. As the first IRP submitted under the 2016 energy law, it will be important to follow the progress of the Consumers IRP and its implications for solar development in the state, particularly since it will likely influence the other utility IRPs to follow. Michigan EIBC, along with the Institute for Energy Innovation, has formally intervened in the case and will advocate on behalf of member companies and the advanced energy industry. Interested EIBC member companies are encouraged to join our new regulatory sub-committee and support our efforts in this intervention (email mieibc@mieibc.org to learn more). 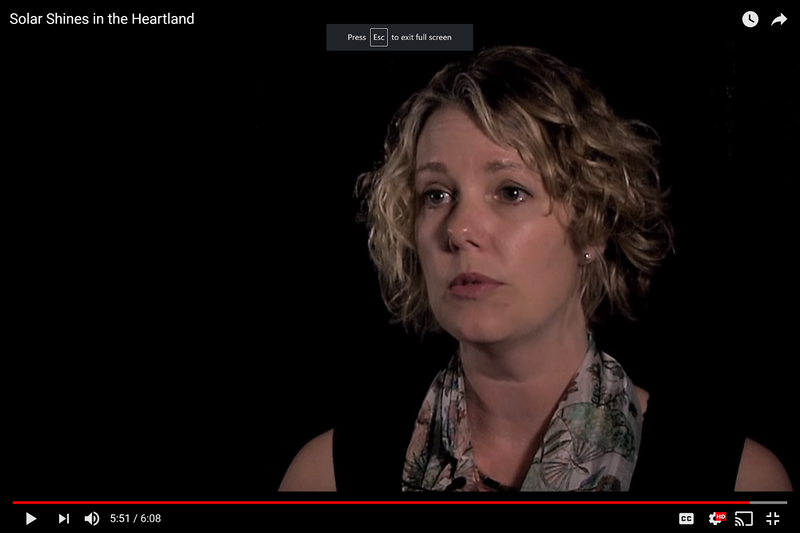 Michigan EIBC President Liesl Eichler Clark was featured in a video created by Yale Climate Connections. The video highlights the development and success of solar and other advanced energy generation sources in Michigan, including great visuals of existing Michigan projects. Clark focused on the recent cost declines in solar energy production and the benefits of advanced energy to Michigan’s economy. DTE Energy is Michigan’s first utility to propose a replacement for net metering, though advocates are strongly opposed. Utility-scale solar developers are unsure what to expect following Consumers Energy’s announcement that it will increase solar investment. Officials in Calhoun County explore repurposing forfeited properties as solar sites. The Huron County Road Commission is considering leasing land to a solar developer. Such an arrangement would be the first in the county. The Michigan Conservative Energy Forum released a study finding that renewable energy, including solar, could grow the state’s economy by more than $10 billion. The report also states that Michigan could create 69,000 job-years on a path to 30% renewables by 2027. Michigan EIBC member company Sempra Energy announced plans to sell its U.S. wind, solar and natural gas assets. In late June, the U.S. solar industry received good news from new IRS guidance, which provided clarity around the 2019 deadline for a project to qualify for the 30% Federal Investment Tax Credit. Republican lawmakers are expected to introduce a carbon tax in the U.S. House of Representatives next week. Solar has grown 39-fold since 2008 according to a new Environment America report. Reuters reports that Tesla will close solar facilities in nine states. Loan products are set to become the primary financing option for residential solar projects in U.S. In Florida, customers are paying extra to their utility for solar trees. A Bloomberg report finds that blockchain could be used to lower the cost of advanced energy technologies like rooftop solar and EVs. Using blockchain ledgers to manage transactions securely could streamline and automate transactions with solar producers and EV users. Michigan EIBC member company Invenergy will supply solar for two of Facebook’s data centers in Oregon. 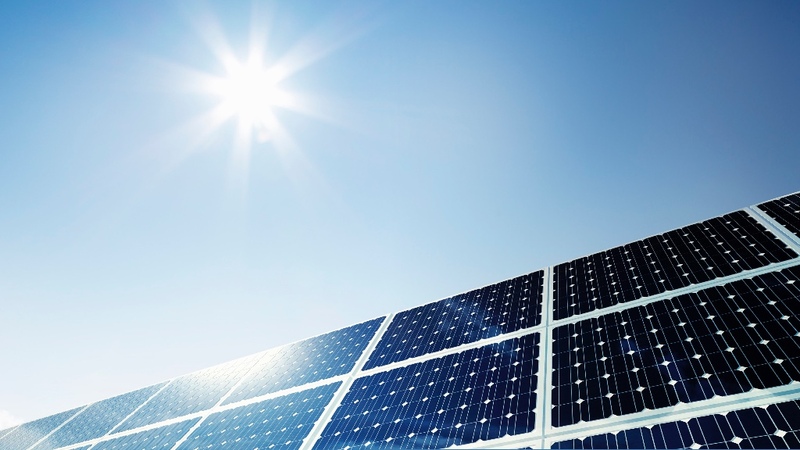 First Solar is setting its sights on making solar commissioning faster and easier. New York City apartment dwellers now have access to community solar projects. Utility Dive reports that the rise of net-zero homes could boost utility-driven community solar projects. Energy Storage North America invites you to its Solar + Storage Summit November 6-8 in Pasadena, California. Register here.